For a lot of celebrities, taking jet trips to luxurious and exotic locales has become a part of their regular lifestyle all through the year. However, there are many celebrities who chose the first couple of weeks of spring as their getaways and take these breaks as a great opportunity to keep their social media feeds updated by sharing their spring break experiences. 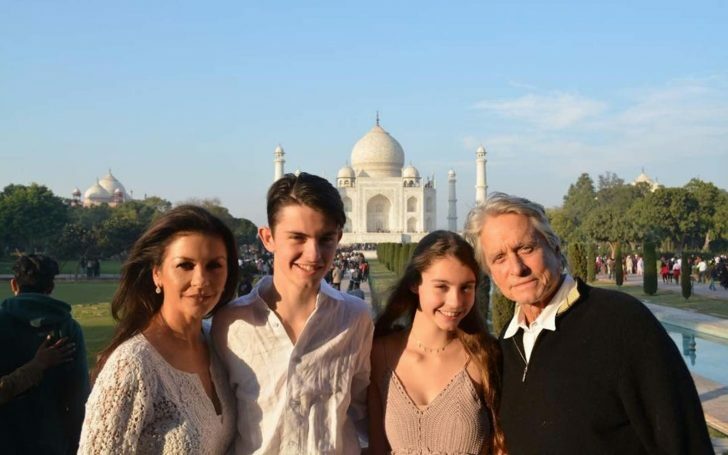 Worthy of mention out of all the celebrities is Catherine Zeta-Jones’ spring trip which might be also described as a perfectly-planned vacation. Her children Dylan (18 years old) and Carys (15 years old) had 2 separate weeks off school, and they decided to use the conflicting schedules as a good reason to have two different vacations. She took to her Instagram page to post a picture expressing how one gets to go places when the school breaks of your kids’ schools don’t coincide. In the first picture she posted, she was seen posing in front of a hotel room that had Middle Eastern looks with Carys and another where she appeared on the tallest building in the world, Burj Khalifa, Dubai, together with her other kid Dylan. A couple of days after the initial post, she shared another video where she and Dylan had traveled to Bahrain and were at F1 Grand Prix. Tracy Chapman’s Fast Car was the track she used as the background music for her video. It isn’t quite certain where Witherspoon decided to spend her spring break, but she did have a good time during te period as she laid on a daybed outdoor reading a Taylor Jenkins Reid’s Book. She had earlier recommended the quite popular tome to members of her book club. 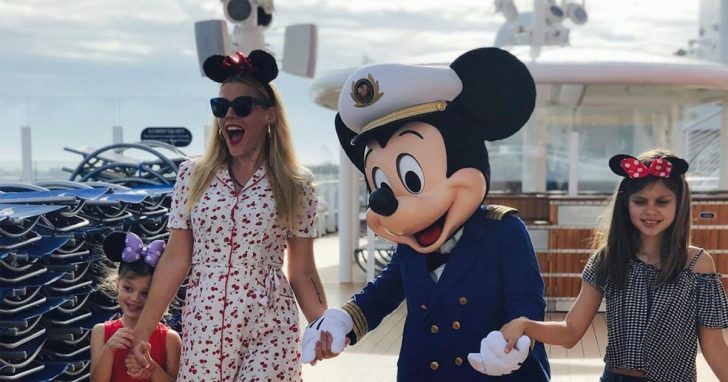 On vacation with her daughters, Cricket and Birdie, and husband, Marc Silverstein to Hawaii, Phillips decided to keep us all updated on a regular basis by posting little glimpses of her amazing spring break getaway. In a post, she expressed how much she loves Mai Tais and in another, she was happy to share that her 5-year-old daughter, Cricket, was having her 5th snow cone in 3 days. Cox’s daughter, Coco Arquette, also seems to be a huge book lover. Her mother posted a three-picture collage from their vacation, and she was captured fully invested in a Stephen King book in each of the pictures. By the third day, she was pictured holding up a sign that read “Do Not Disturb”. Stewart had a packed schedule when she went vacationing at Palm Beach, Florida. In one of the days, she shared a picture where she was enjoying a morning sunrise walk right along the jetty. She described the jetty as a quiet one. She later visited the Norton Museum of Arts. In the early days of her trip, she shared a picture of her taking out time at Cholo Soy Cocina where she was dining on tacos, empanadas, and cob.